Chris-Wang Filler Paper is absolutely a good choice for people who appreciate quality and value. 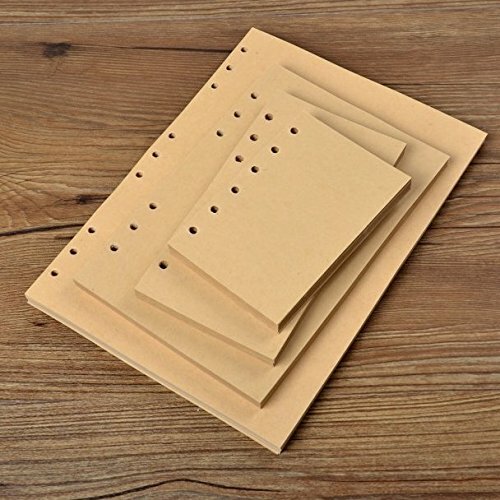 This paper provides the perfect palette for any writing instrument, with a smooth surface and 6-hole punching for easy insertion in all standard A5 Size 6-ring binders. Each sheet measures 14.2 x 20.8cm, is made from quality 100g thicken paper, and is available with 80 sheets per pack. Whether it's a multi-part form, notebooks, writing pads, record books, or any of the hundreds of items we offer, you can count on Chris-Wang products to help!